The Netherlands experienced a very strong autumn storm yesterday with gale force winds of up to 11. Much damage has been left in its wake, people lost their lives, their homes, their property. Those traveling lost time since boats, planes and trains couldn’t make their scheduled runs. If you were by car, chances were you lost time too because of slow speeds and accidents on the road. A man on his bike nearly lost his life when a tree fell on his path but he ended up in between its branches. Not so for a woman who was walking by a canal in the city center, her tree was her fate. I’m one of the lucky ones. I could watch nature’s force in the comfort of my home. 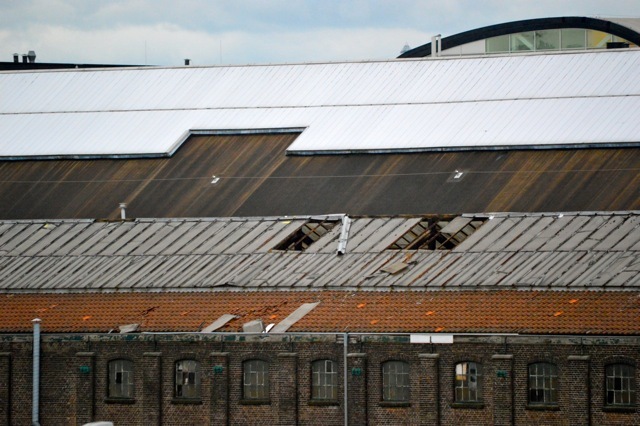 While working yesterday, I heard and saw the roof blew off from this industrial building across the canal. And here we are now, the morning after. The wind is gentle, barely ruffling those leaves left on the trees which made it through the storm. 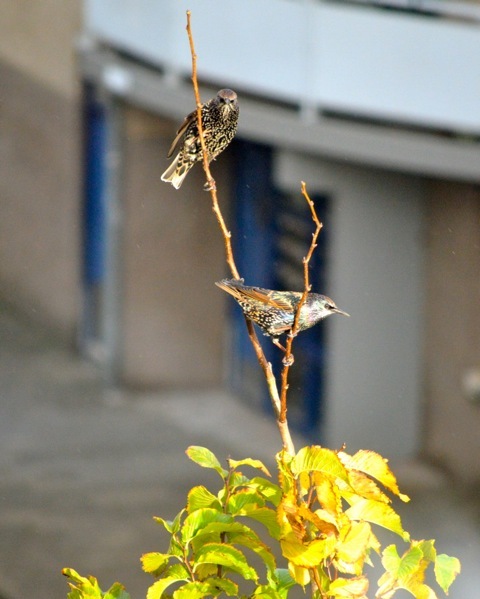 The birds, who were in distress yesterday as they hid in bushes or sheltered under eaves, are back playing on this tree top outside my window. Maybe it is not for me to ask why, why am I here? But to just be thankful that I have this day.